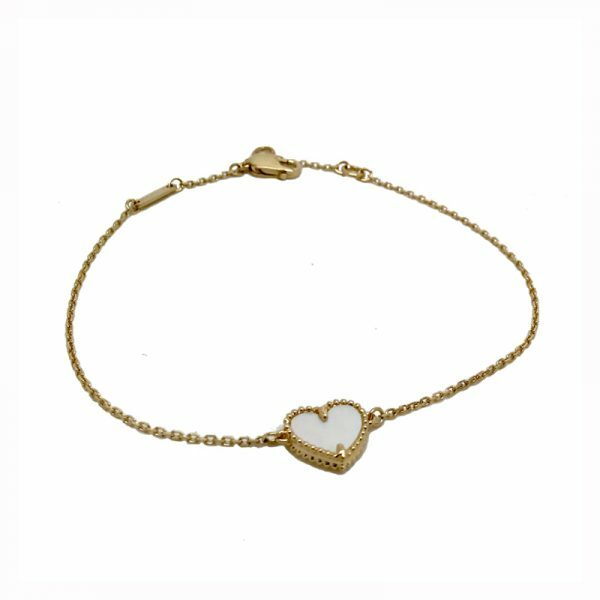 Description: Sweet Alhambra bracelet in 18k yellow gold with white mother-of-pearl heart motif. Light and delicate, the Sweet Alhambra creations have featured delightful lucky motifs in miniature form since 2007. 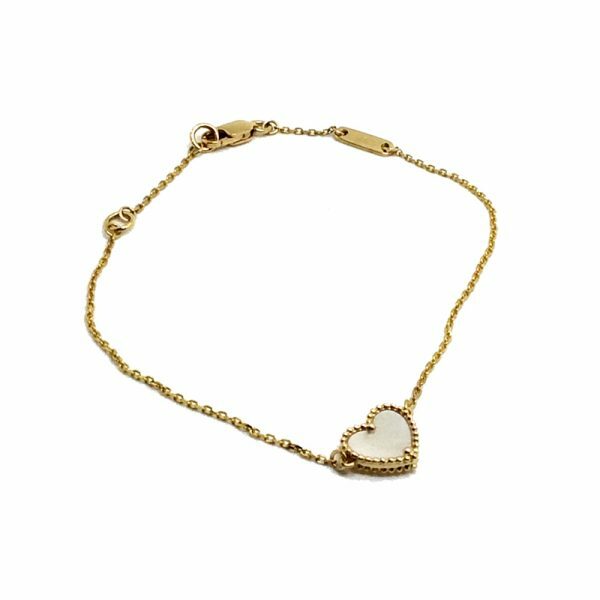 This double sided delicate motif catches the light offering a variety of different colour reflections when it does so. The piece is signed and serial numbered by VCA. Length: Bracelet 15.5–17cm adjustable length. 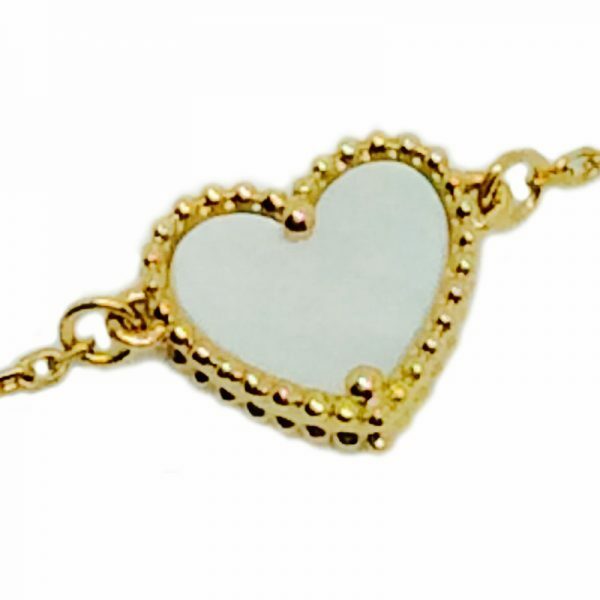 Weight 1.70 g. Heart size 0.8mm in diameter. 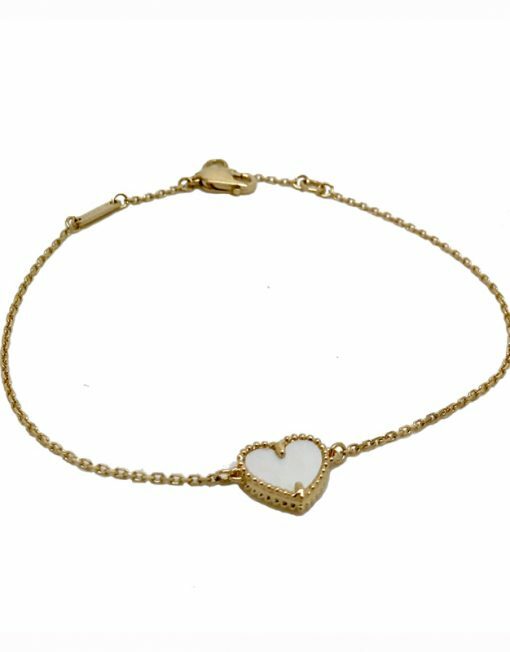 This beautiful bracelet comes in original Van Cleef box with Van Cleef certificate.